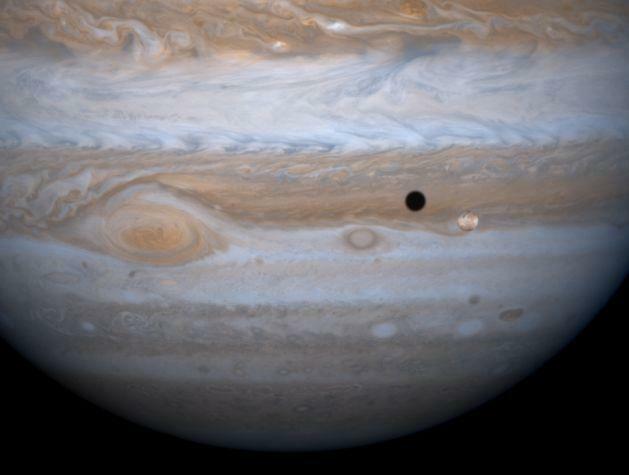 Io casts its shadow on Jupiter. 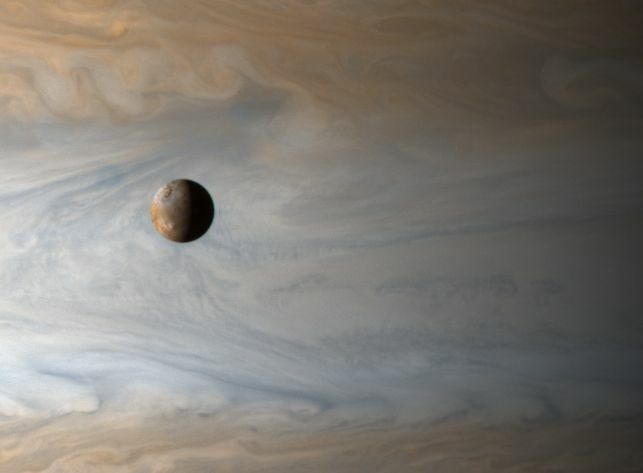 Another view of Io, passing in front of Jupiter, by the Cassini spacecraft on its way to Saturn. 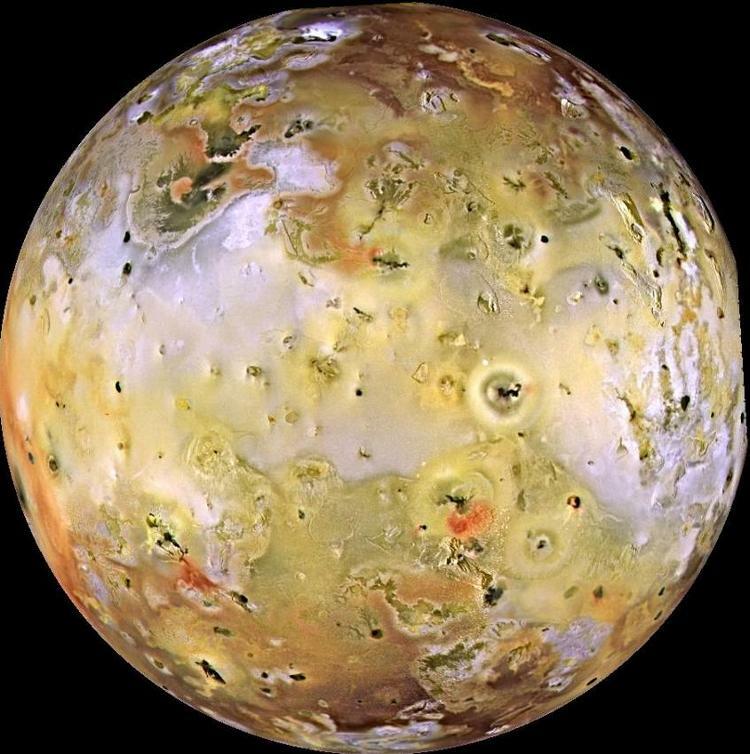 True color image of Io. 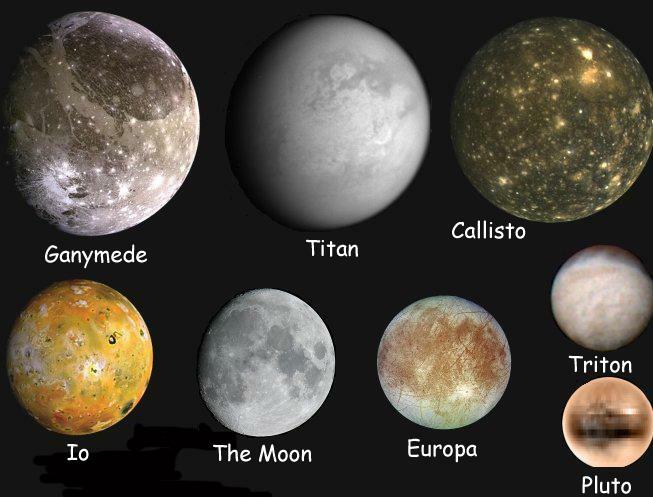 The farside of the moon is on the left and the nearside is on the right. 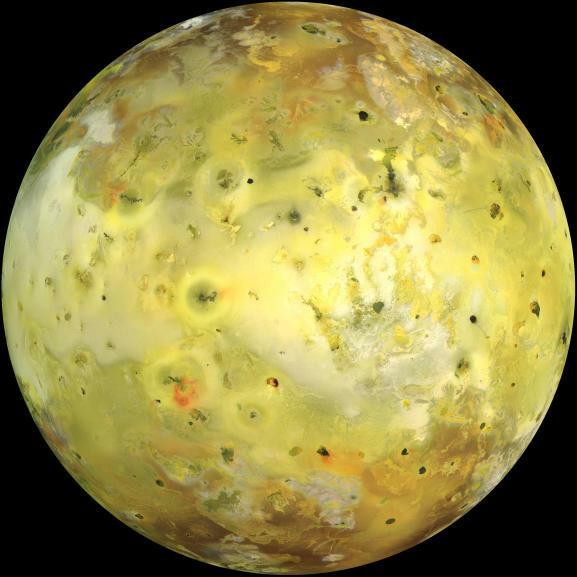 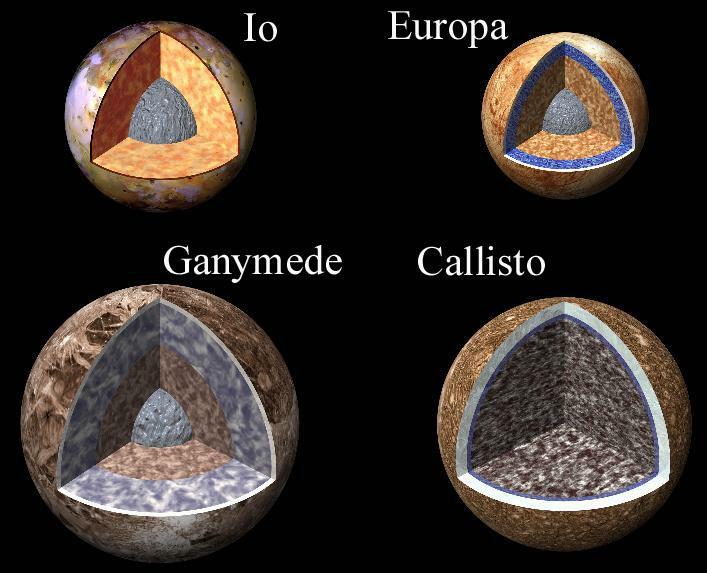 Photomosaic of farside of Io considerably enhanced to emphasize variations in brightness and colors. 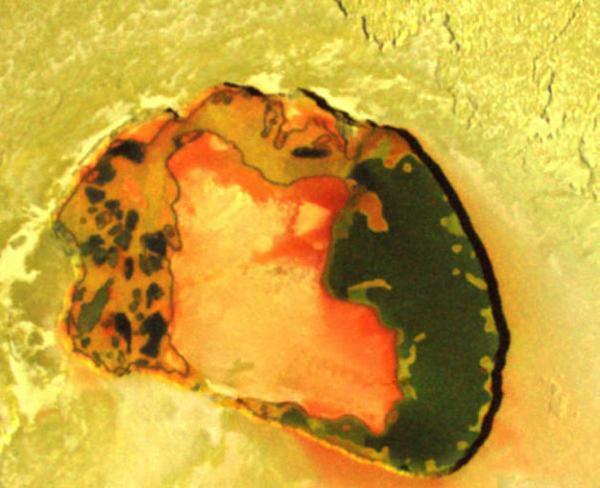 Red and black colored areas are lava flows, yellow areas are sulfur patches from explosive plumes. 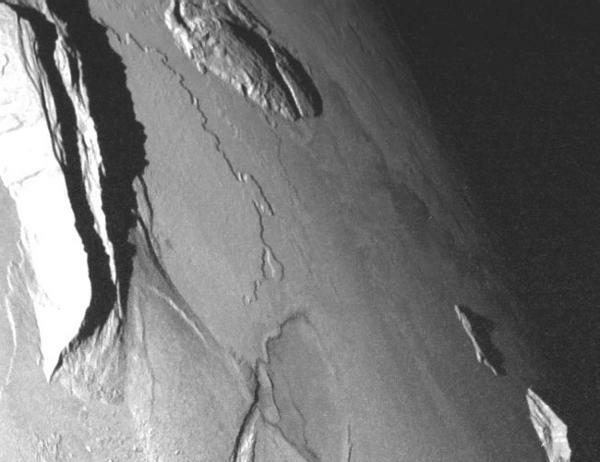 Culann Patera (shown below) is below right center in this image. 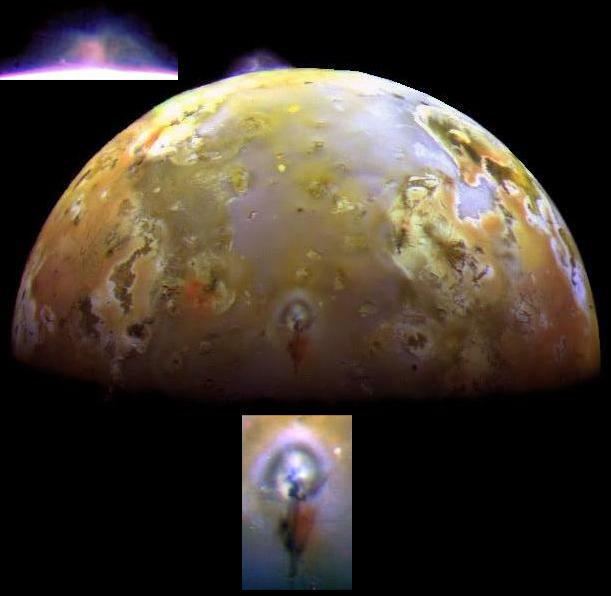 Enlargement of area near Culann Patera, an active volcano on Io. 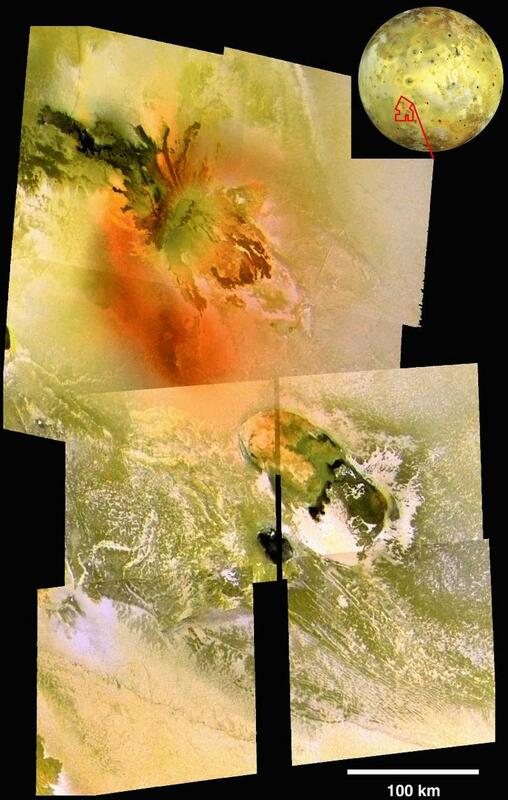 Eruptive plumes on Io (enlarged views, inset). 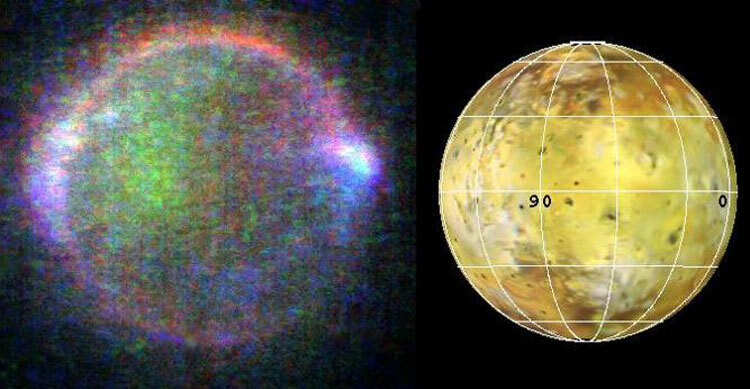 More eruptive plumes (on the left side of the picture) on Io. 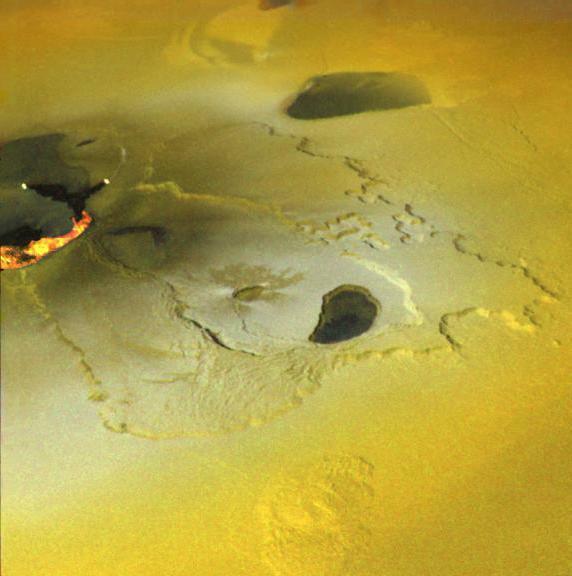 Closeup of the caldera of Tupan Patera. 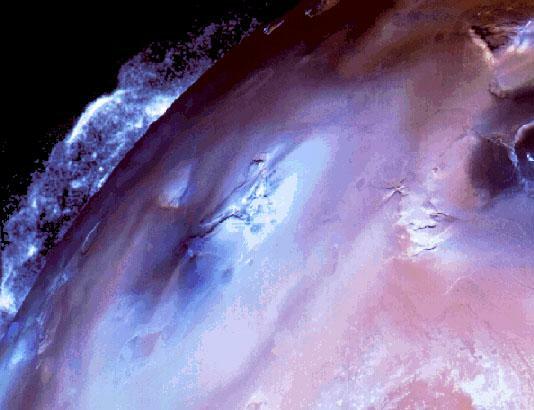 The caldera is approximately 50 miles across.